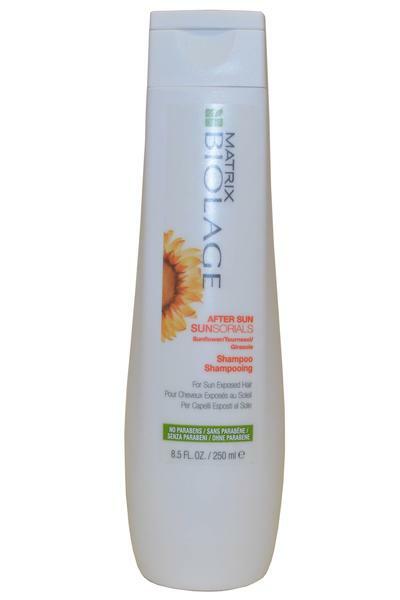 Matrix Biolage Sunsorials Shampoo removes salt and chlorine whilst adding moisture and manageability to leave hair healthy, soft and shining. Ideal for all hair types and colour treated hair. Provides help against environmental damage.